Firstly sorry for not updating our site recently. We have been busy making our products and enjoying life on the South Coast. and hope to have our products on full display over the next couple of weeks. WE will update you with the details once we have permission to share our good news. ​If you want to come see us at our home - that is fine with us. ​We should be home most days - just phone us first and we will give you the address in Tomerong. Welcome to Stone, Fire and Water online. 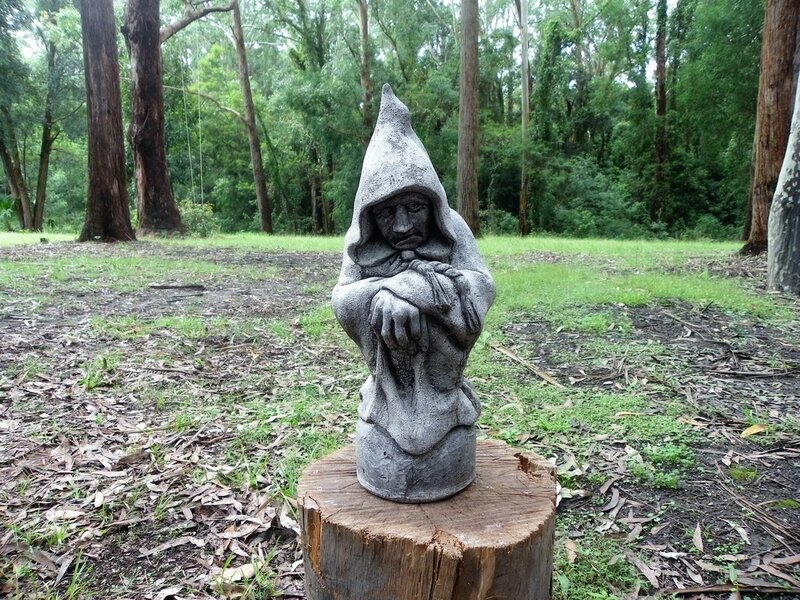 We specialise in all things mythical for your home and garden. 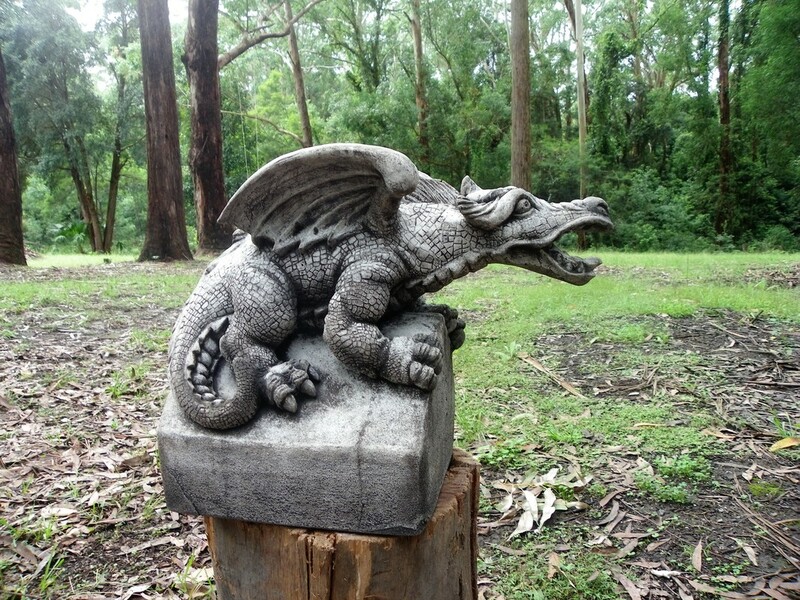 It all began over 18 years ago when we couldn't find anywhere that sold decent gargoyles in Sydney. 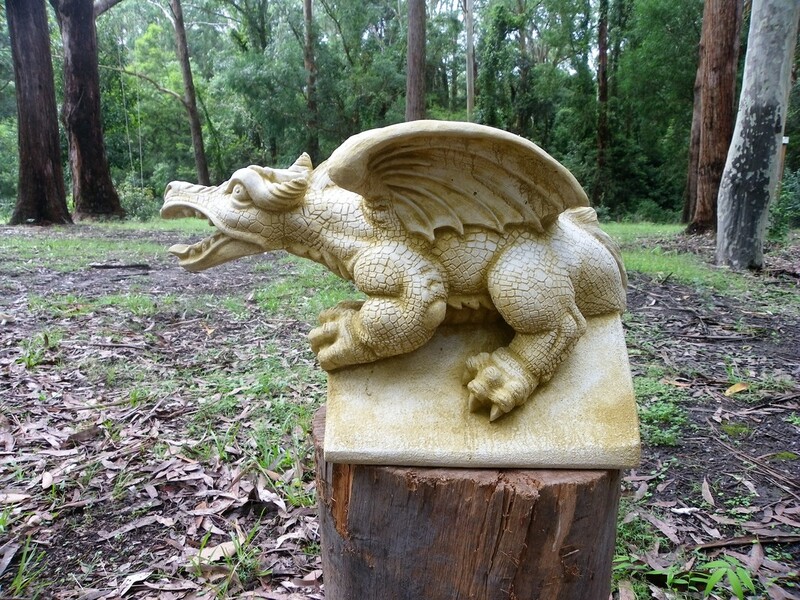 We began our first line of gargoyles with the "Huey" gargoyle. Since then we have diversified our products to include a range of mythical creatures, most of which are lovingly handcrafted by some of our local talent. Products can be purchased by email to us or by visiting the market we attend. You can also purchase/make special orders through our office in Tomerong call 02 444 36080 to make an appointment. Or just email us to place an order. If you live on the South Coast come and see us. WE are just off the highway at Tomerong. Call first to check we are home. If there is something specific you want to buy - email us and we will bring it to the market. 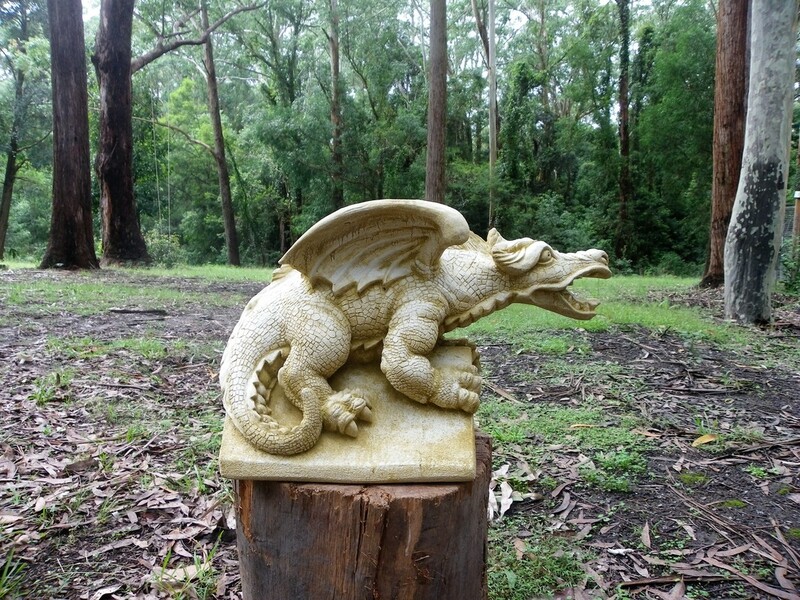 ​We have just finished the new Dragon for the roof and Dragon for the garden, and the Druid. Both the dragons and the druid came out amazing. Read our blog for the latest updates in everything mythical!